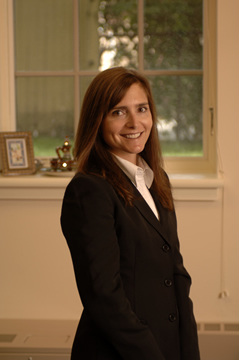 Michele D. Beardslee, associate professor at the University of Miami School of Law, will be our guest on Blog Talk Radio this Tuesday, December 8 to discuss her new study on corporate lawyers and the court of public opinion. The LawFirmsPR show will begin at 2 p.m. Eastern Time and finish at 2:45 p.m and there will be time for call-in questions. Professor Beardslee’s current research investigates the role general counsels play in managing public relations for high profile corporate legal controversies. Part one of her “Advocacy in the Court of Public Opinion: Broadening the Role of Corporate Attorneys,” appears in the Georgetown Journal of Legal Ethics. The second installment, “Advocacy in the Court of Public Opinion, How Far Should Corporate Lawyers Go?” will appear in the same journal in 2010. Professor Beardslee teaches courses in professional responsibility, civil procedure, and business associations. To listen to the live interview on Tuesday, December 8 at 2 p.m., please click here at that time.